Though having said that… “Canada” is always a bad category. There is way too much variance between the provinces and counties. When discussing Gun Law, compare it at the federal level. When discussing health care, compare it at the province level. 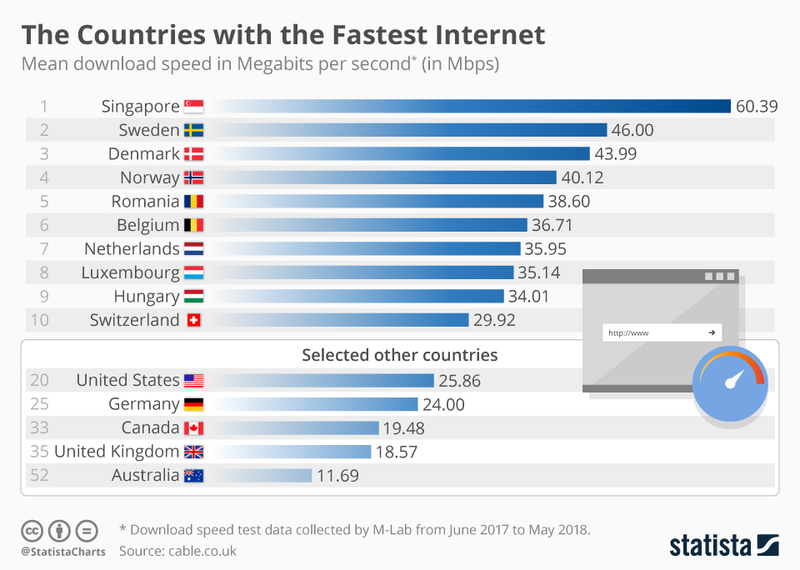 When discussing internet speeds, compare it at the county level.